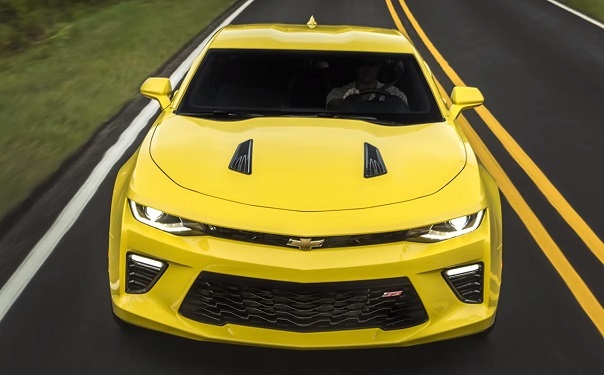 Chevrolet Camaro 2016-2017 — the sixth generation of the legendary maslkara. Company Chevrolet held its official presentation, perhaps the most famous in the world of creation — the Chevrolet Camaro. This is the sixth generation of the legendary car, which never ceases to amaze their fans, as well as to attract more and more new fans. This time we are not talking about the use of the previous generation of the basis for a new generation. Now General Motors has used the new platform. 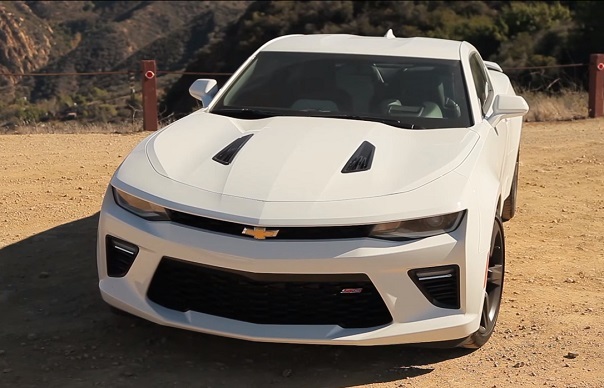 In fact, the whole process of creating a new Camaro started with a clean slate. Of course, the manufacturer tried as much as possible to convey the image of the legendary, implementing it on the basis of modern technologies and automotive capabilities. The results exceeded the expectations of many experts. Since the information at this time about the new enough, we offer you to learn how maslkar became the new Chevrolet Camaro 2016-2017 year. 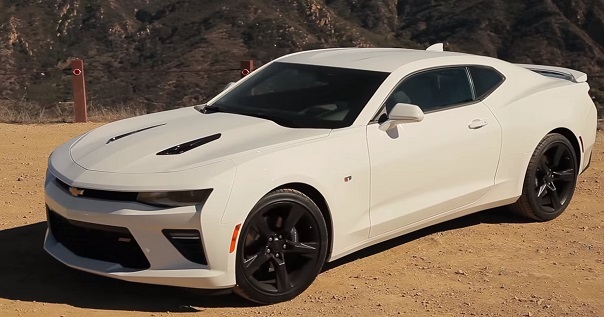 Photo exterior of the new Chevrolet Camaro 2016 2017 year. We add only the data about the dimensions. Salon Chevrolet Camaro 2016 2017 year. The interior space of the car offers to combine classic lines maslkara sample first generation of modern, high-tech solutions. 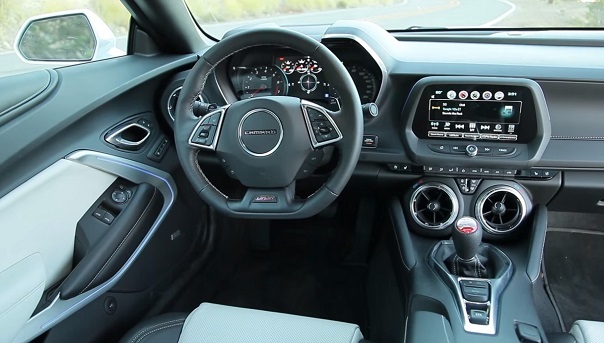 Looks very elegant multi-function, cropped below the steering wheel, which hides stylish dashboard. 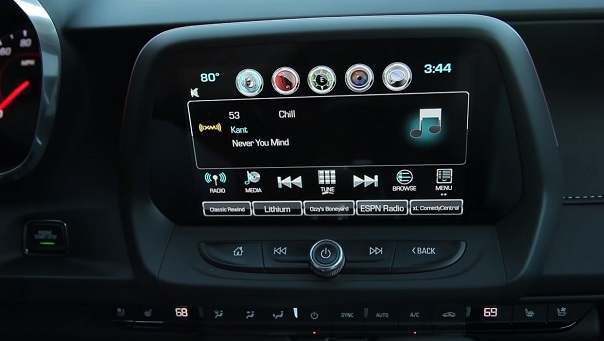 Incidentally, the base Chevrolet offers a traditional instrument panel and optional in its place may receive an electronic multi-function display 8 inches. Seats are covered with high-quality leather trim — at the highest level. Carp at least for something impossible. Still before us is not some Chinese car, claiming to be a high position in the market. This legendary American maslkar, sets the hero movies, the dream of millions of children and adults. Chevrolet simply has no right to make mistakes, to make a car is not interesting or attractive. Actually, the error we are certainly not seeing. Instead, refined interior, superb futuristic appearance. Well, for the new Ford Mustang attacking difficult times, as the main competitor also updated and can significantly outperform «horse» in certain aspects. Although let’s entrust comparison of these machines authoritative experts. Surely we will soon see how competing new Mustang and the sixth generation of the Chevrolet Camaro. 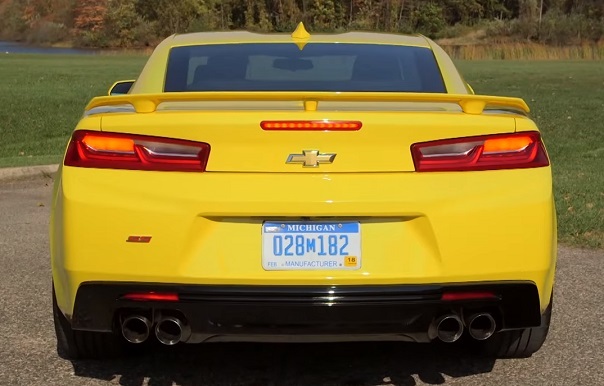 It is too early to talk about what it is that as the equipment manufacturer will offer for its new Chevrolet Camaro. Certain «chips» can be called, however, note the official statements and the publication of a complete set of options Chevrolet did not provide. So while acting at the level of what is known after the presentation.